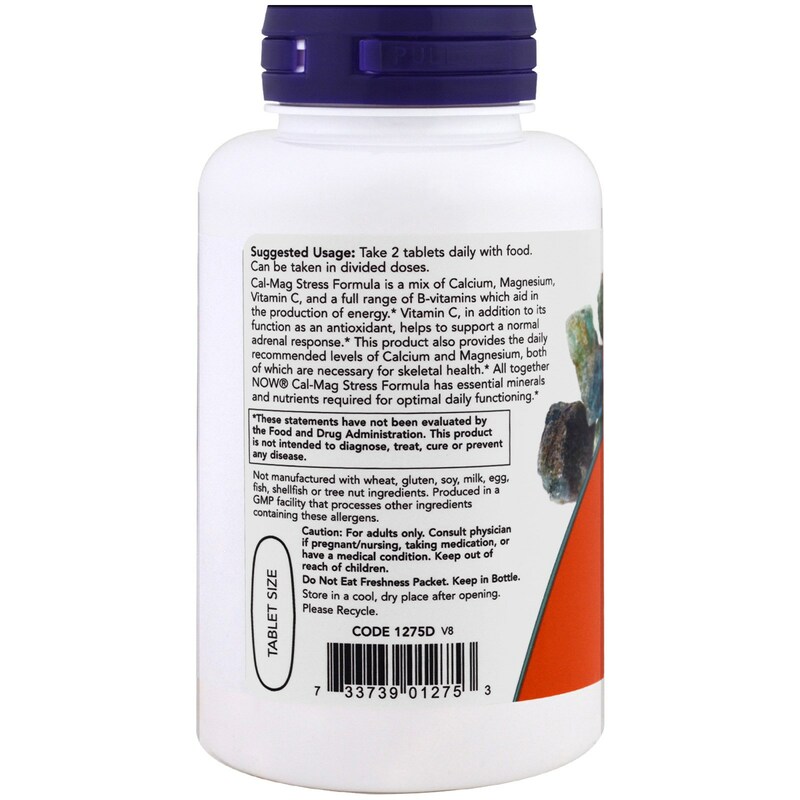 Cal-Mag Stress Formula is a mix of Calcium, Magnesium, Vitamin C, and a full range of B-vitamin which aid in the production of energy. Vitamin C, in addition to its function as an antioxidant, helps to support a normal adrenal response. 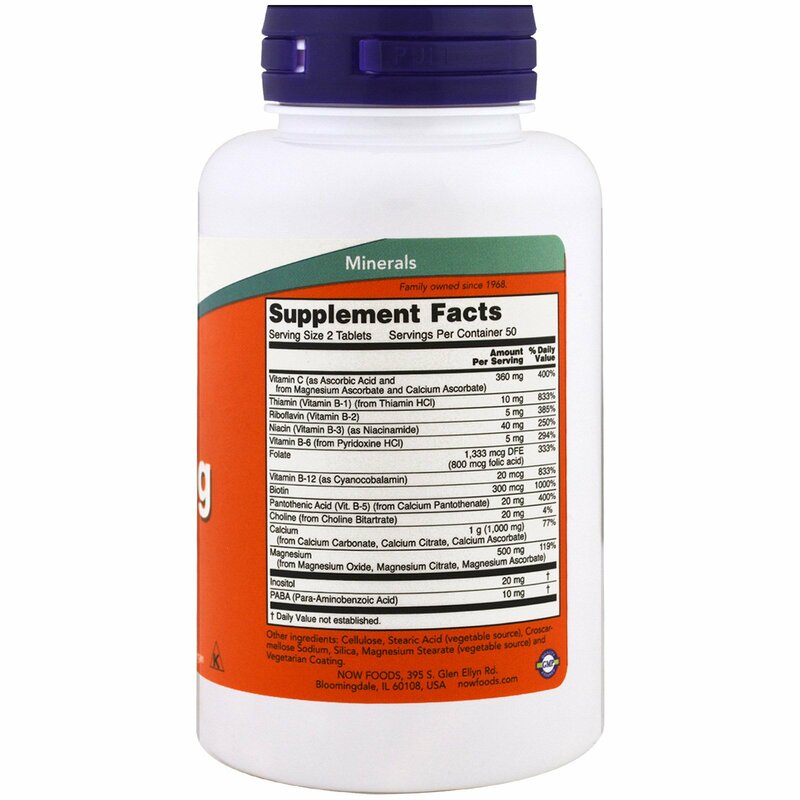 This product also provides the daily recommended levels of Calcium and Magnesium, both of which are necessary for skeletal health. 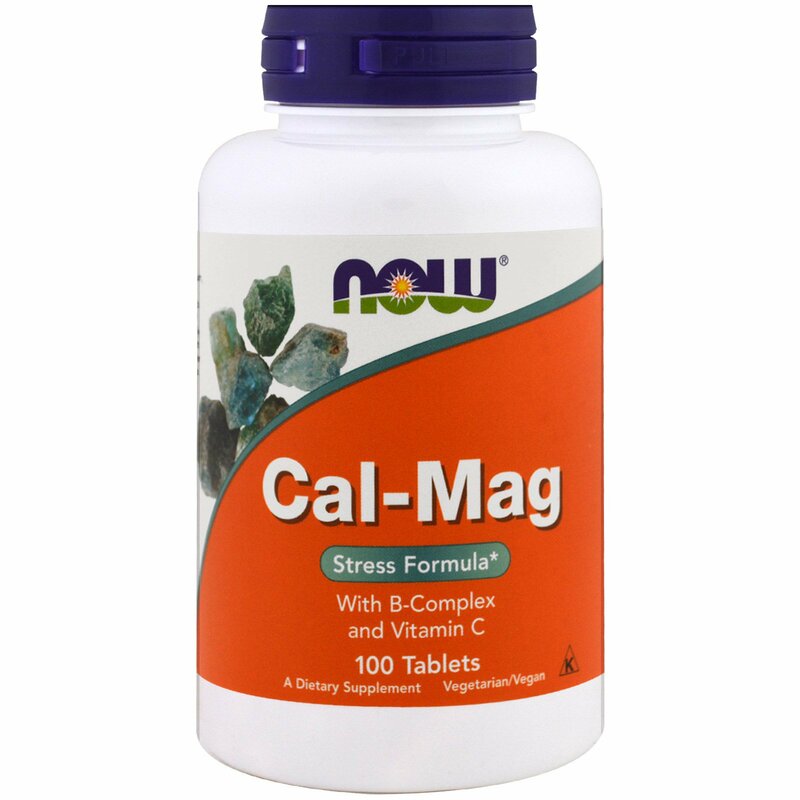 All together NOW Cal-Mag Stress Formula has essential minerals and nutrients required for optimal daily functioning. Take 2 tablets daily with food. Can be taken in divided dose. Not manufactured with wheat, gluten, soy, milk, egg, fish, shellfish or tree nuts ingredients. Produced in a GMP facility that processes other ingredients containing this allergens.